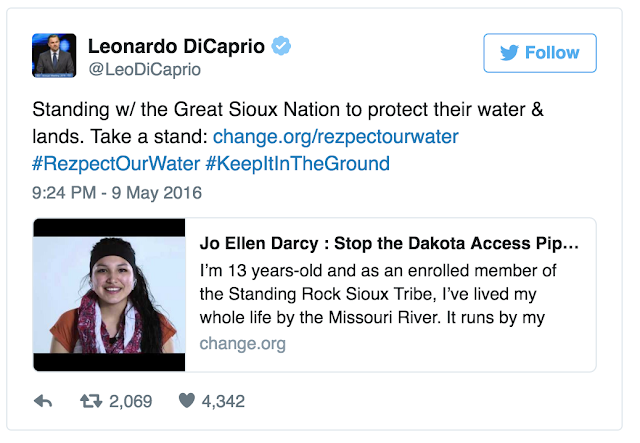 The campaign to oppose the construction of the Dakota Access pipeline continues to gain steam with Leonardo DiCaprio and actors from the upcoming Justice League film joining the cause. 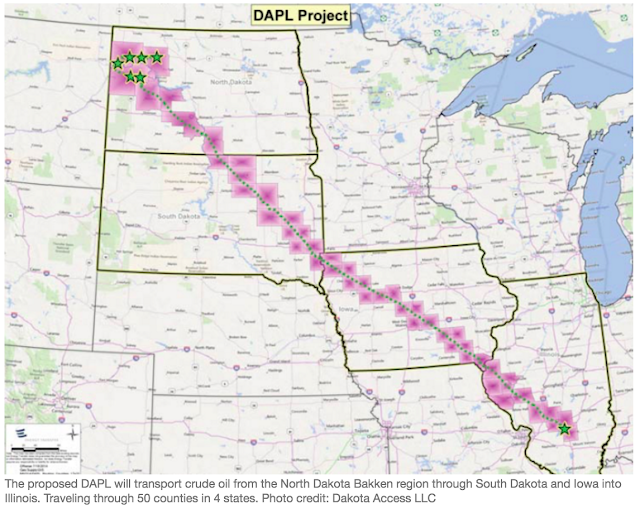 Dakota Access—a subsidiary of Texas-based Energy Transfer Partners LP—has proposed a $3.7 billion, 1,168-mile pipeline that will transfer up to 570,00 barrels of crude oil per day from theNorth Dakota Bakken region through South Dakota and Iowa into Illinois. DiCaprio’s tweet also hash-tagged #KeepItInTheGround, which calls for keeping fossil fuels in the ground. 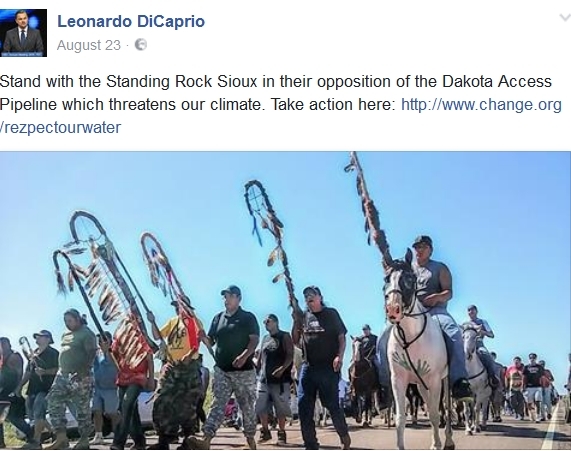 STANDING ROCK UPDATE: 26 OCT: Actor-activist Mark Ruffalo has traveled to North Dakota to support the Standing Rock Sioux tribe's opposition to the four-state Dakota Access Pipeline. 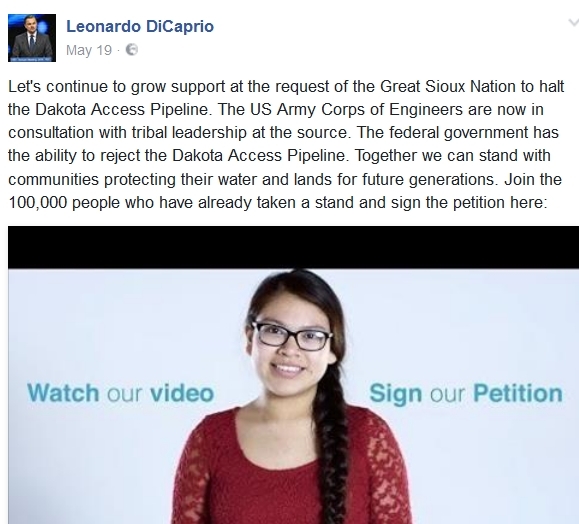 Ruffalo also confirmed Tuesday night during a press conference in Ft. Yates that Leonardo DiCaprio will also be coming to North Dakota to join the Standing Rock Sioux Tribe in opposition of the Dakota Access Pipeline. 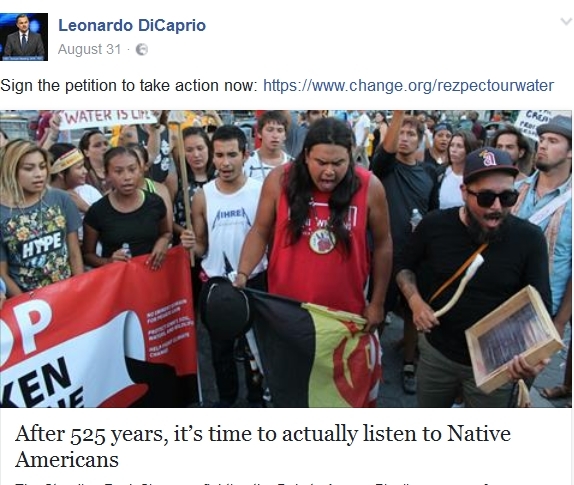 Responses to "Leonardo DiCaprio Stands With Great Sioux Nation to Stop Dakota Access Pipeline"
https://www.youtube.com/watch?v=HkpuSmoQaf0 changes coming --be alerted!! If they would spend their money on alternative energy instead of this pipeline, we wouldn't need the oil. Stop the biker bar being built at the sacred site of Bear Nutte. Digging has begun, where are all these people who say they support us ? We need you all here now ASAP. Bring the big name news reporters CNN, FOX NEWs etc. 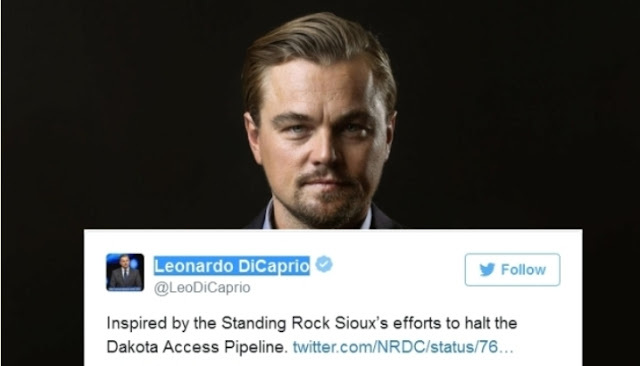 The Tribal Chairman was also arrested today on the front line which wasn't even reported on the local news, they try and keep this and other Native issues in the dark away from white America... time to stop the greedy oil companies when they think money is more important than human lives !!!! I will take the stand!!!! Pipes filled with ocean or brackish water safely store hydrogen and oxygen gaseous fuel. By generating zero pollution low cost electricity by using ocean or polluted water the free byproduct is distilled water from any source. The company that has perfected this revolutionary-green technology is located at NASA's Kennedy Space Center. Thank heavens the co-founder of GoPro a senior investment banker funded Joi Scientific so pipes can be filled with water not oil. these oil companies say it's safe, swear up and down. but we know better, spills, broken pipes, spills in the ocean, rivers, lakes. killing the wild life. just to name a few. don't get sucked in, stop them now, what is Obama promised, that he sent the police in? Yup stop it. Don't fall for any b.s that they may promise or try around legit with any advances. We just recently had an oil spill now water, wildlife, and communities are affected ex.The Pas, Mb. Prayers up tobacco down for you people. Much respect all the way from Canada. Aho! 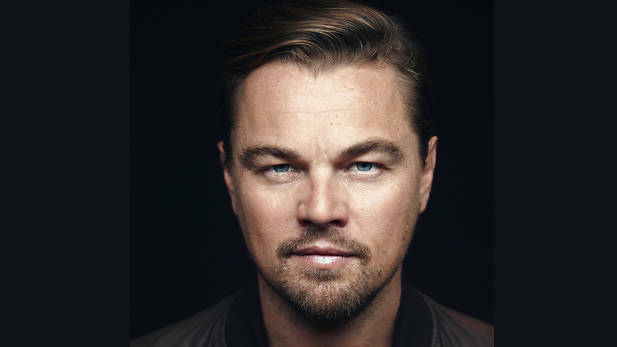 Go and be there Leonardo that's more powerful than any tweet Mahia te Mahia Kia kaha Kia Maia Kia Manawanui. Let the act be your work, be strong, be steadfast, be fearless. The world is watching na Aotearoa New Zealand. El petroleo ya ha destruido demasiado para seguir tolerando mas atropellos ,,gracias Leonardo Di Caprrio pido tambien como muchos amigos que usted valla en persona alli.